Register_for_eRecruit from BVSC on Vimeo. You don’t need to sign up to use eRecruit to search for vacant positions; however, you need to sign up to apply for positions and receive job updates via email. You will need to sign into the system in order to see internally advertised vacant positions. Select ‘Sign up’ under the Bega Valley Shire Council banner. Select the ‘Registration’ page, this will now open. Please note fields marked with a red asterisk * must be completed. 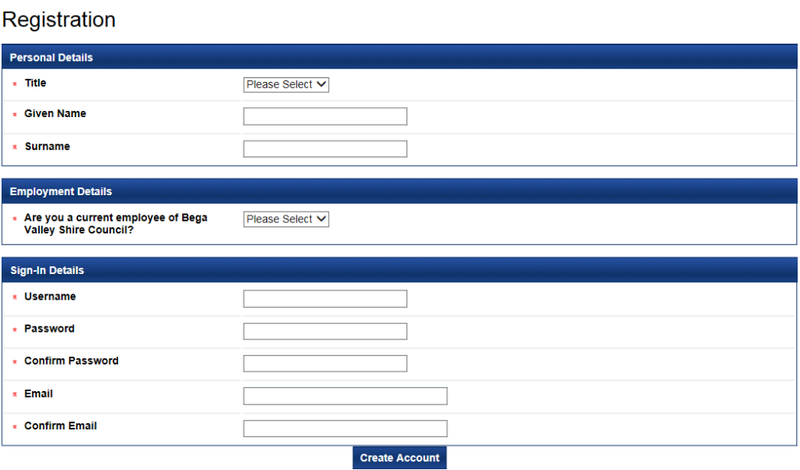 Select ‘Create account’ when you are done. The following account registration message will then display and a registration email will be sent to your nominated account. Set your notification preferences at the bottom of the form and then select ‘Continue’. 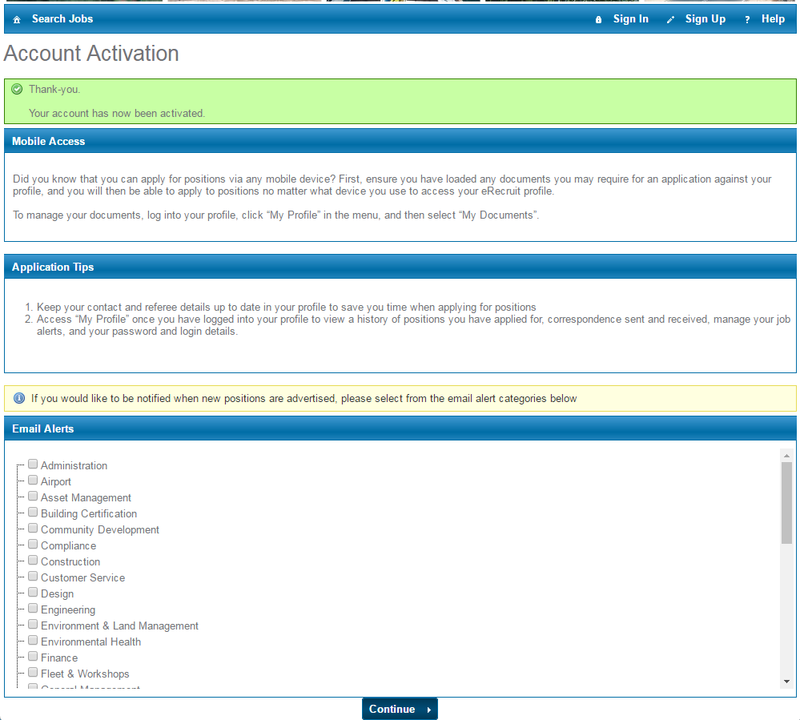 Your account will now be activated allowing you to sign-in and apply for positions.